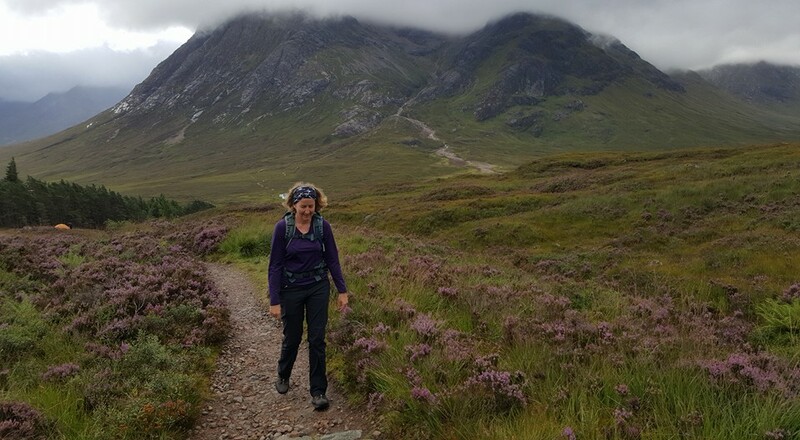 Tara is out this week walking the West Highland Way with her husband Scott. It’s a bit of a working holiday really with Tara’s aim being to gain further first-hand experience of both the route and some of the accommodation. Yesterday they set off from Milngavie at the official start by the obelisk. For the first 6 miles or so they walked through park and woodland trails,with Allander Park and Mugdock Country Park leading them away from the urban areas and out into the countryside. 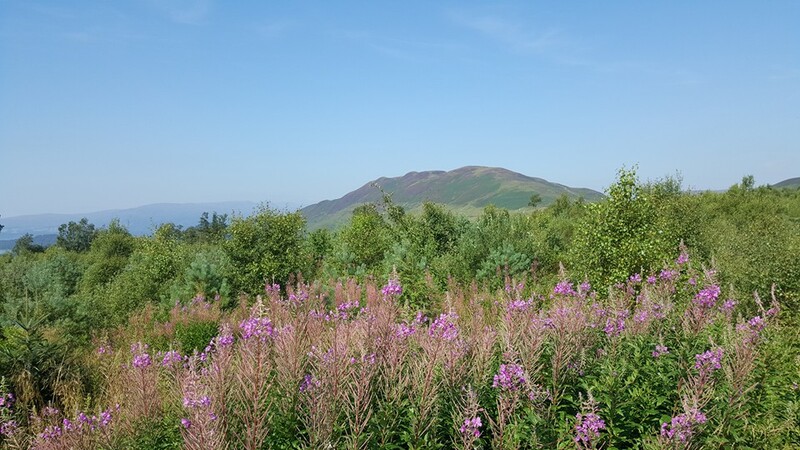 They then passed Craigallian Loch and crossed the B821 from where they could enjoy the wonderful views of the Campsie Fells and Ben Lomond on the horizon. A pleasant glimpse of the hills that await them. The Way then goes to the valley bottom and picks up the old railway, providing a straight and easy walk through farmland. Tara and Scott then passed the Glengoyne Distillery, seen here by the woodland, which we are told is great for a visit and of course a sample but they resisted and headed on along the road to Drymen. It’s quite a large village with plenty of walkers around. Their accommodation last night was a lovely lodge style house. Tara tells us that after tea and scones they were ready to sample the pub. 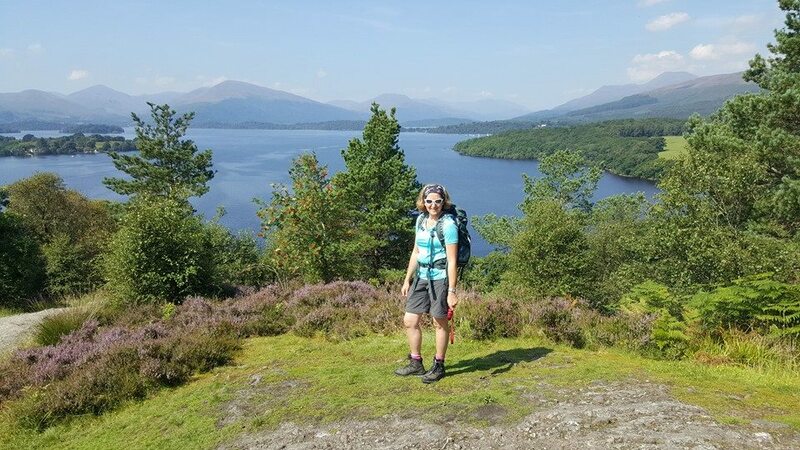 Tara enjoyed an absolute scorcher of a day for her Drymen to Rowardennan leg of the West Highland Way. Wall to wall sunshine all day was how she described it to us. 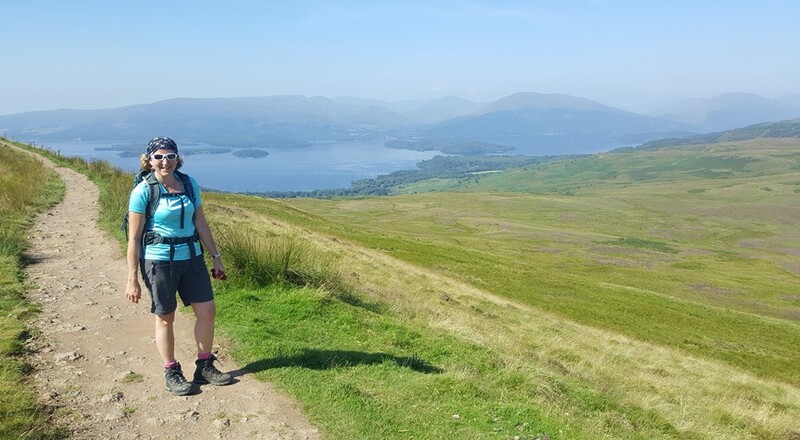 The first part of her day took her to Balmaha , initially via tracks through Garadhban Forest, before choosing the high route through more forest followed by moorland onto Conic Hill which stands at 361m. 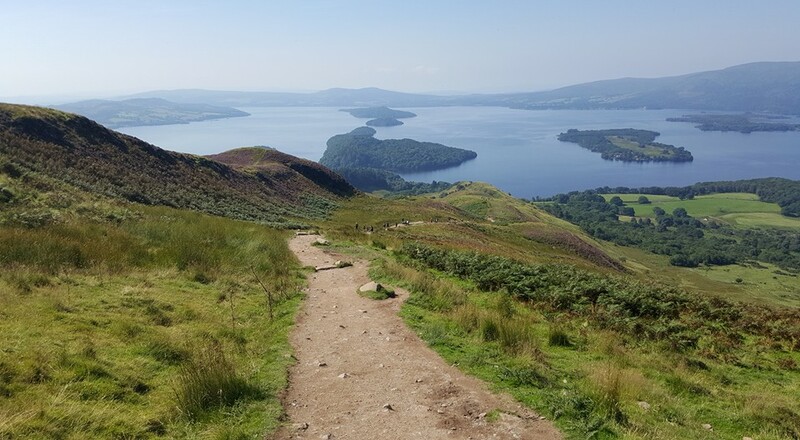 On Conic Hill you are rewarded with superb views of Loch Lomond. Measuring 23 miles long, it’s the largest body of fresh water in Britain. 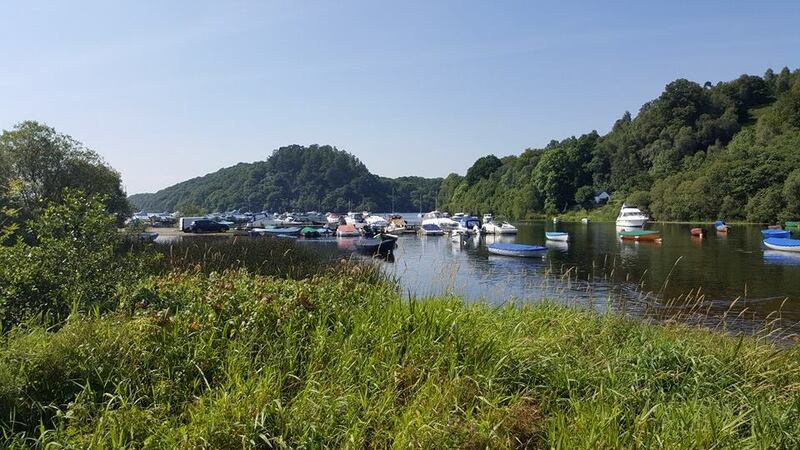 The loch has a line of islands that mark the direction of the Highland Boundary Fault, separating the highlands from the lowlands. 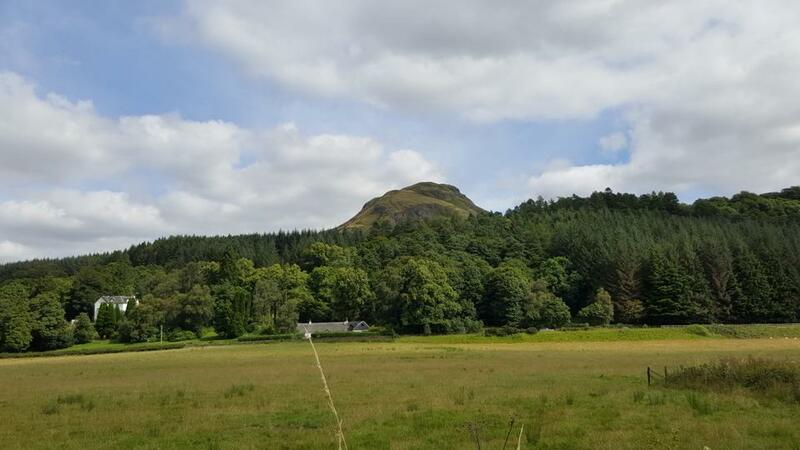 From Conic there is a steep descent into Balmaha and a very good lunch stop, after which the route is mainly along the banks of Loch Lomond passing through some lovely woodland, much of which is part of a project to restore native varieties. The path rises and falls considerably more than you might expect and Tara tells us she was glad to see the Rowardennan Hotel at the end of her 16 miles (according to GPS). Tara and Scott enjoyed dinner outside with a view of the Loch and Ben Lomond before heading to their accommodation, sporting a lovely room with Loch view on a working farm. Let’s take a look at Tara’s images from day 2. A glimpse of Loch Lomond on route to Rowardennan. Conic Hill making an appearance. Heading up Conic Hill with a view down to Balmaha. The islands marking the geographical fault in Loch Lomond. 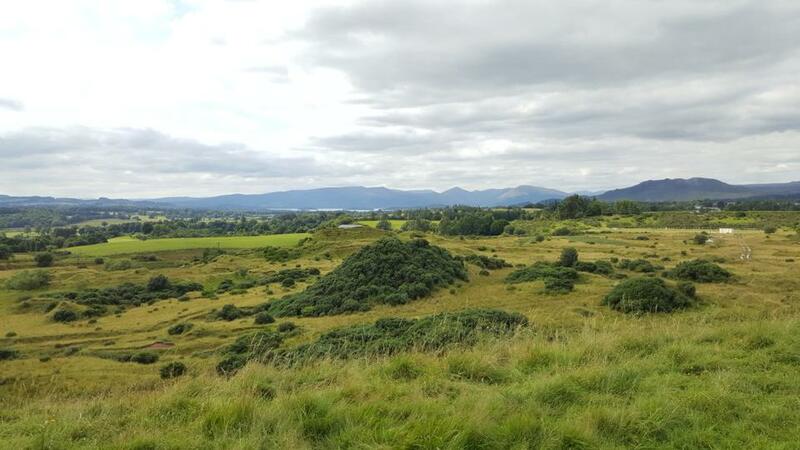 Fantastic view point from Craigie Fort on the Loch side path. Yet more fabulous loch side path. 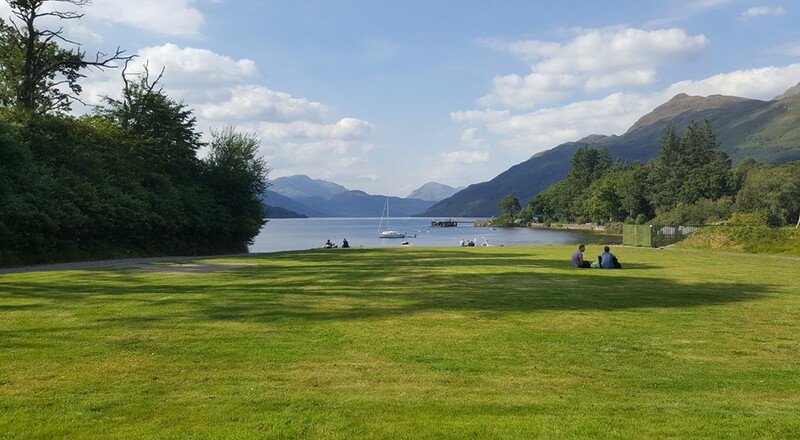 And finally to the beer garden at Rowardennan with the most spectacular view. 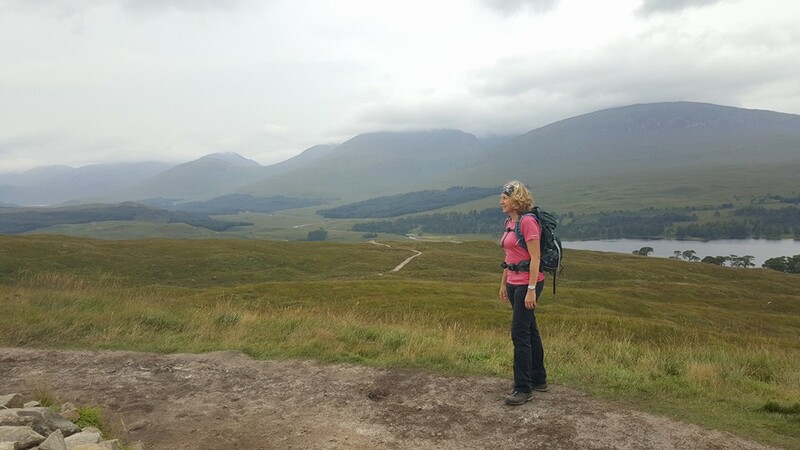 Day 3 on the West Highland Way saw Tara and Scott walk from Rowardennan to Inverarnan. It was another day of blue sky and sunshine. 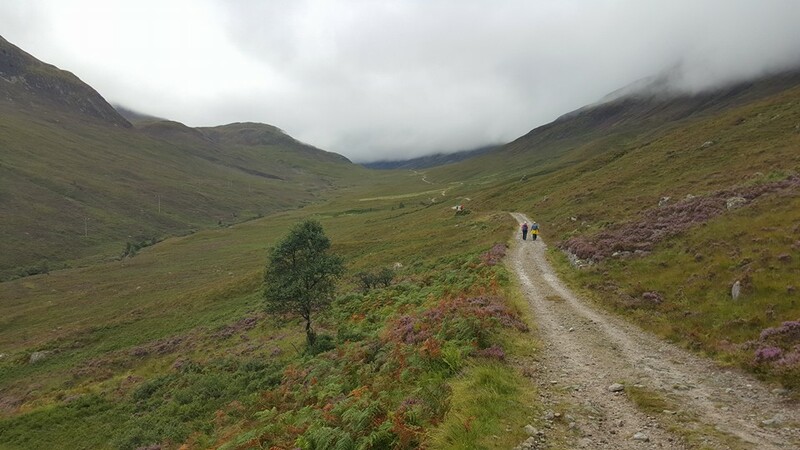 The first half of their walk would take them to Inversnaid along undulating loch side paths with short steep climbs and rocky sections. If you prefer, then some of this may be bypassed by opting for the alternative route on forestry tracks. 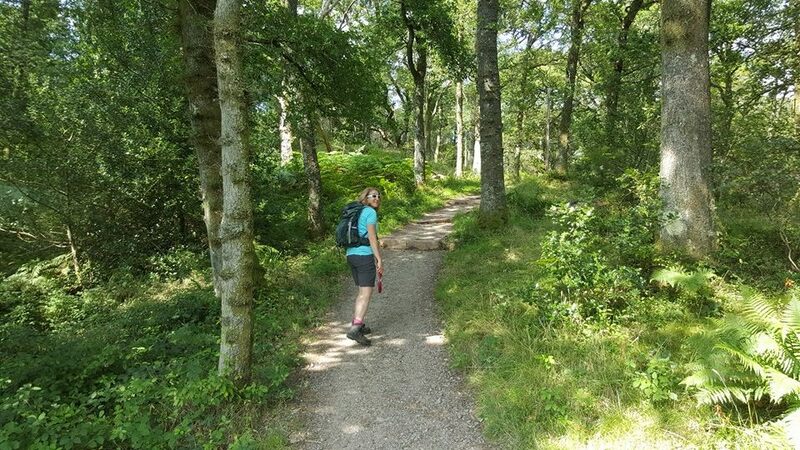 Their chosen route took them through lovely oak woods with wonderful views over the loch. Tara and Scott took a break at Inversnaid and ate their packed lunches which had been prepared at previous night’s accommodation. However, it’s worth knowing the hotel there has plenty on the menu including 50p teas and coffees, and they were doing a roaring trade. It’s a great spot to sit alongside the loch and have a rest. 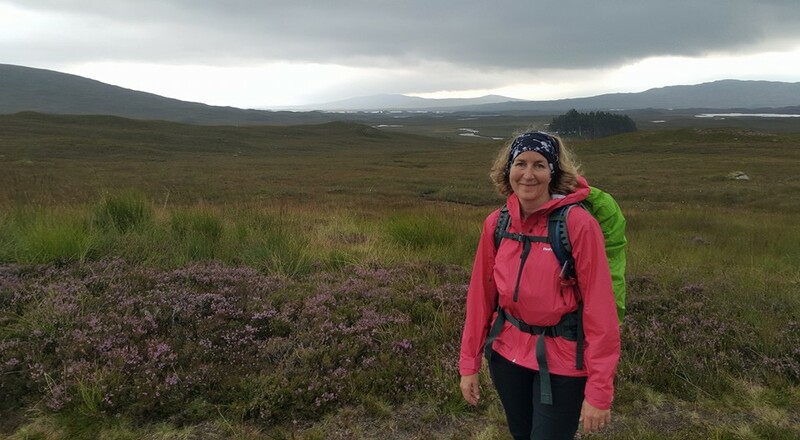 Tara tells us the second half of their day was quite demanding, about two thirds of it still alongside the loch, but now on tougher terrain, rocky with tree roots and a considerable amount of up and down. 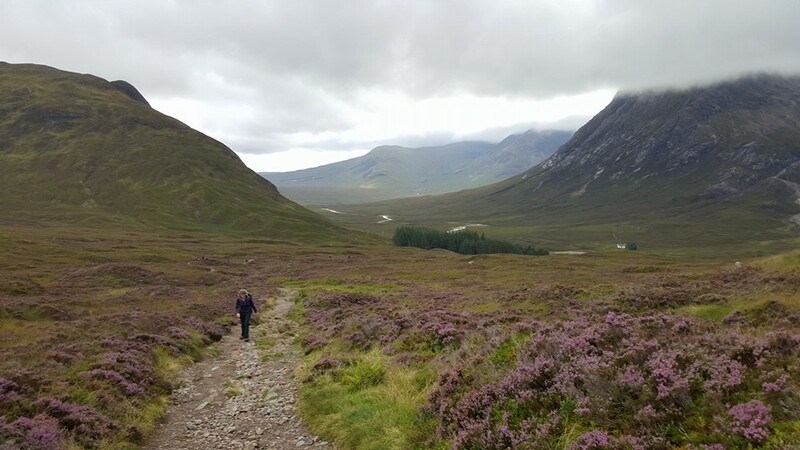 Later the woodland opens out rewarding the walker with amazing views before the path descends gently to Inverarnan. They ate dinner at the Drover’s Inn which is an experience not to be missed with its smoke blackened walls, collection of stuffed animals and, importantly, great food. The inn dates from the 1700’s and is said to be haunted but they didn’t remain long enough to find out. Making the short two minute walk to their accommodation after dinner for a well earned rest. Let’s take a look at some images from day 3. Forest trails to begin with on route to Inverarnan. 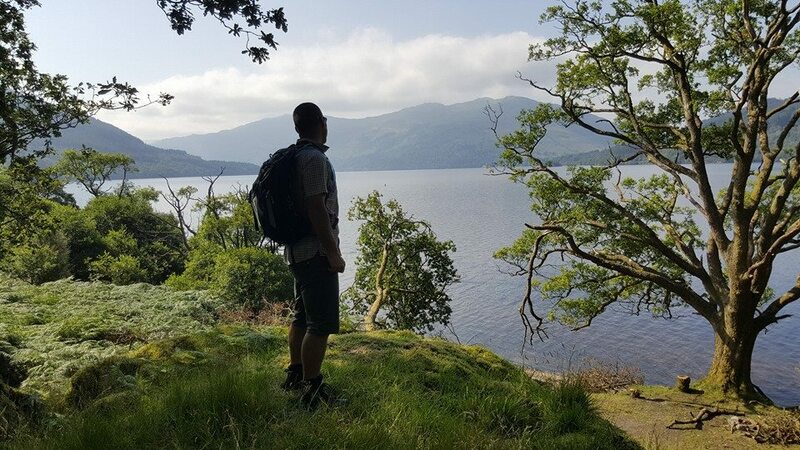 Scott enjoying the lovely loch views in the clearings. Out of the woodland and with views down the loch. The final climb of the day before the gentle walk in to Inverarnan. 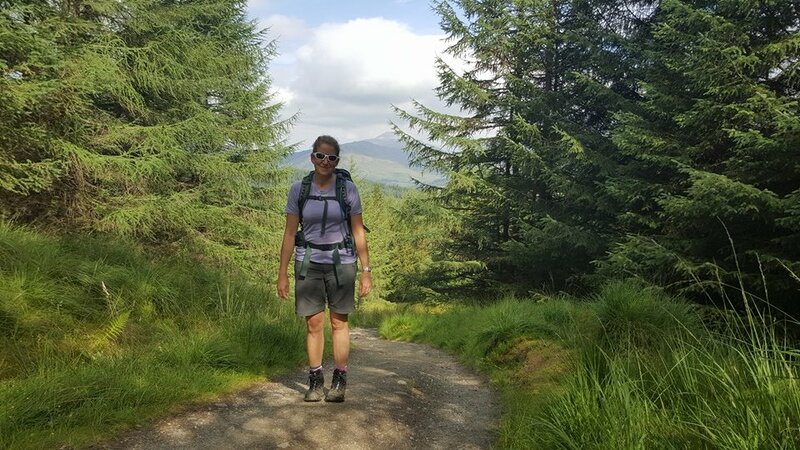 Day 4, Inverarnan to Bridge of Orchy was 19 miles for Scott yet only 12 for Tara as she took the train from Tyndrum for the final 7 miles. 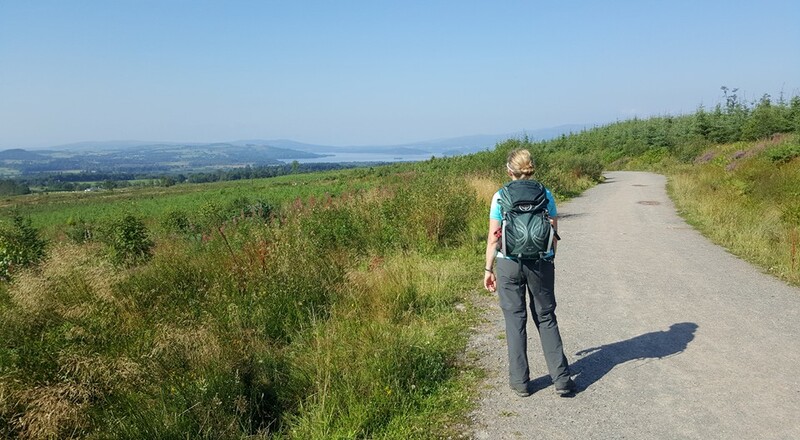 This is an option for clients wishing to fit the full walk into 7 days without having one long day along the way. 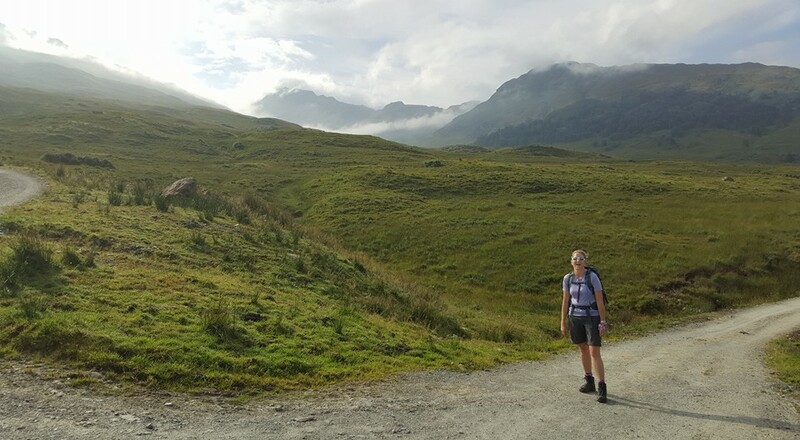 The walk began on good tracks followed by pasture to the midway point of the 95 mile West Highland Way, near Crianlarich. The route then climbs through a large conifer plantation with superb views, before descending to the valley bottom over farmland. 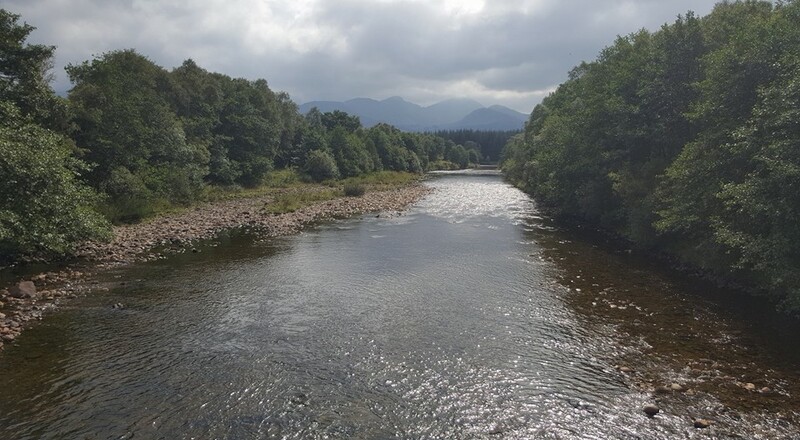 It then follows the river for a while before passing over moorland into Tyndrum. 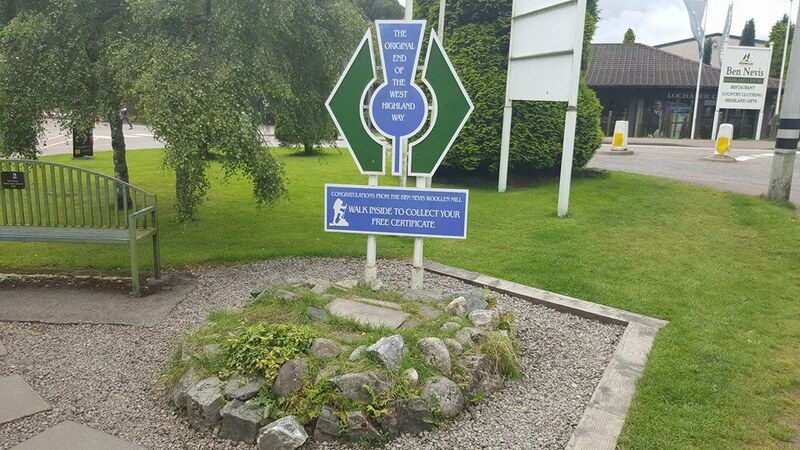 Tara and Scott arrived in Tyndrum in plenty of time for Tara to catch the train and they enjoyed a cup of tea together at the famous Green Welly Stop. Tara informs us it was much busier than last time she was passing for snowboarding in March. Scott walked the remaining 7 miles on the old military road while Tara enjoyed the view from the train, resting her feet! 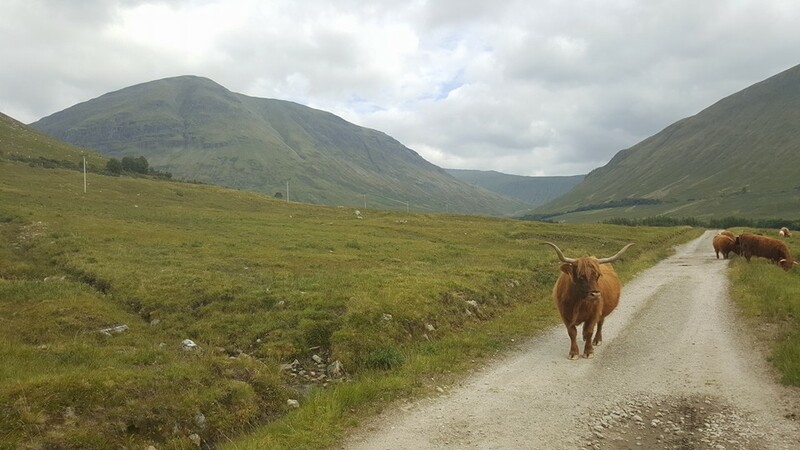 Let’s take a look at Tara’s images showing the change in scenery as they move into the Highlands. Next up, Rannoch Moor. 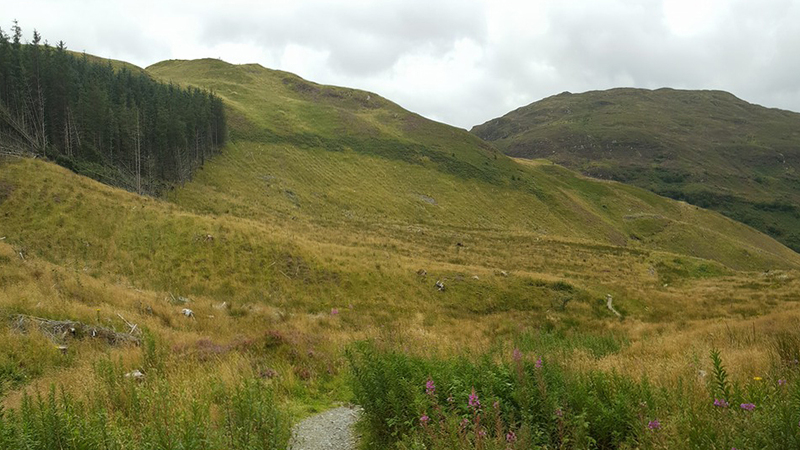 Leaving the lowlands behind, heading for Tyndrum and Bridge of Orchy. 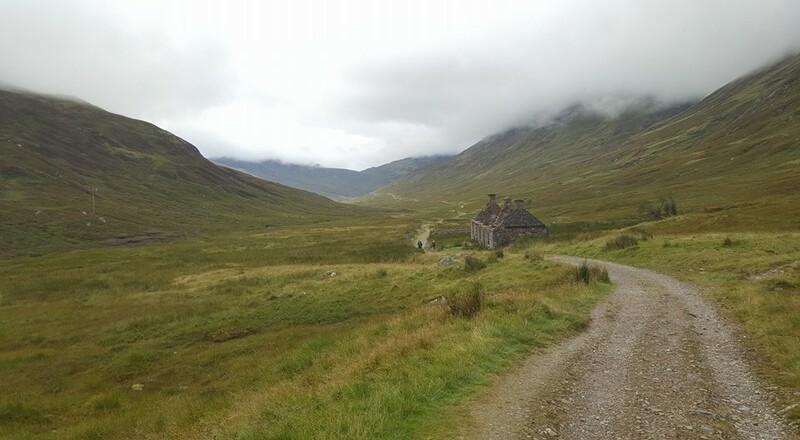 The old military road leading to Glen Falloch. 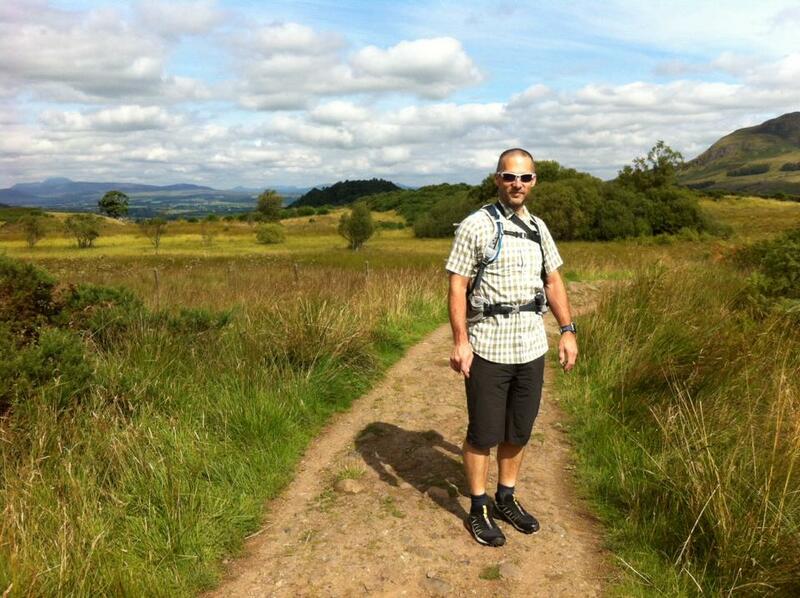 Approaching the halfway point of the 95 mile West Highland Way. 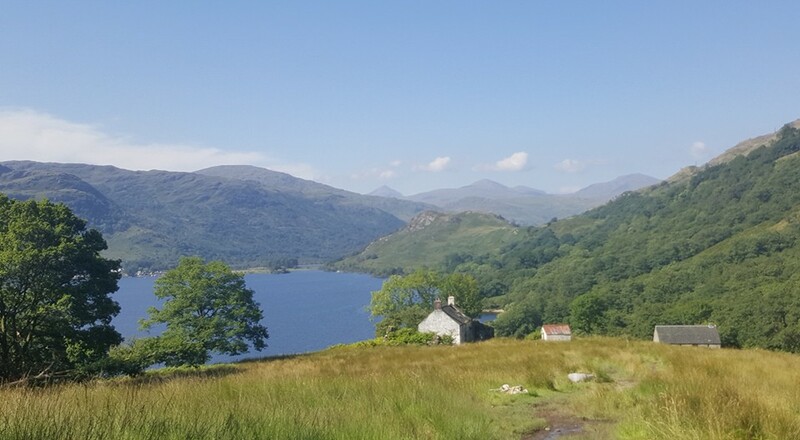 After leaving Crianlarich the route climbs to reveal this wonderful view. 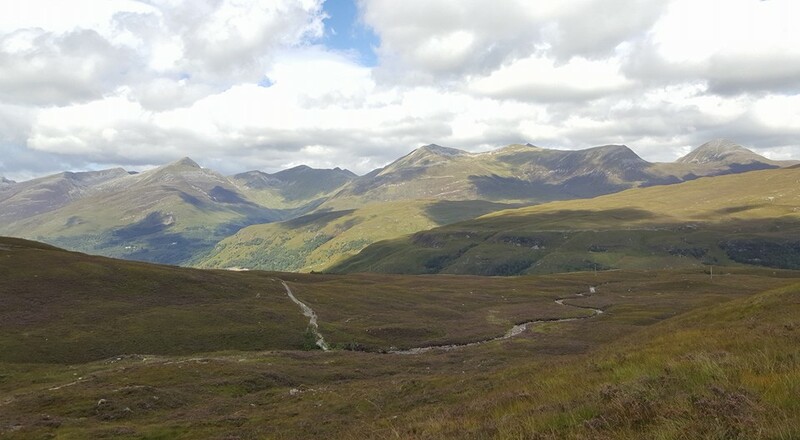 Iconic Beinn Dorain viewed from the military road into Bridge of Orchy. Company for Scott on his solo 7 miles! 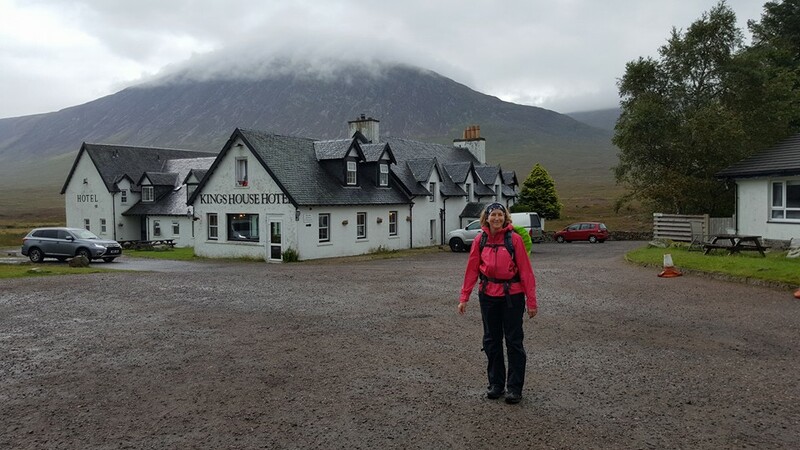 It was back to Scottish weather on day 5 of the West Highland Way for Tara and Scott as they walked from Bridge of Orchy to Kingshouse. 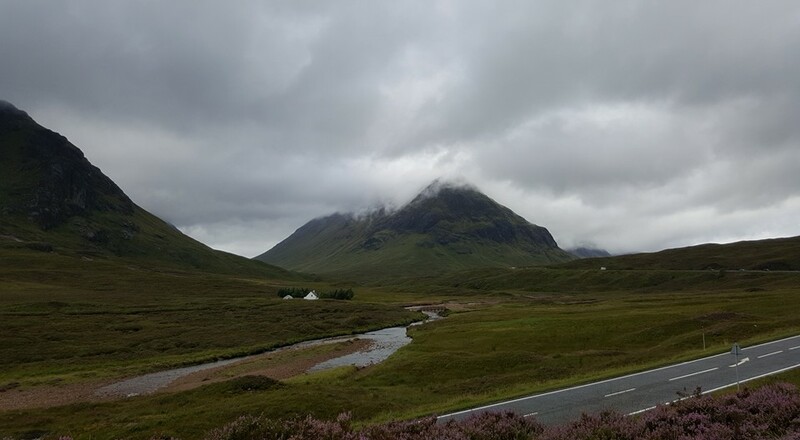 Their much anticipated Rannoch Moor day began cloudy and windy. 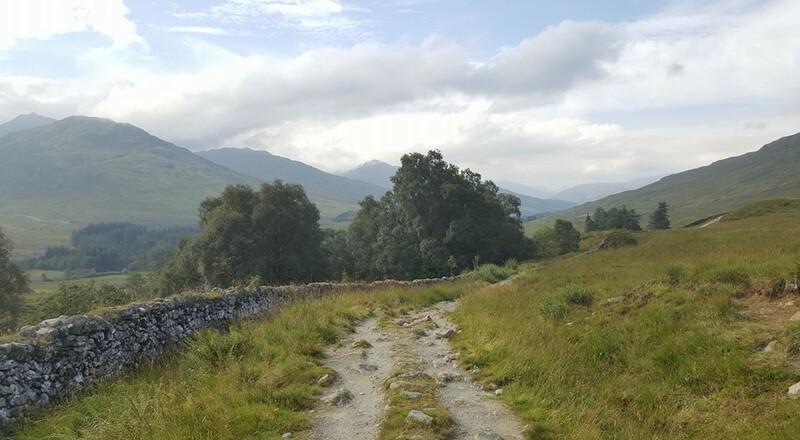 The opening 3 miles followed a gently inclining track over a ridge and around Loch Tulla before meeting the old cobbled Drover’s road which slowly climbs Black Mount. The track leads directly across Rannoch Moor, easily the most remote and desolate part of the whole route. 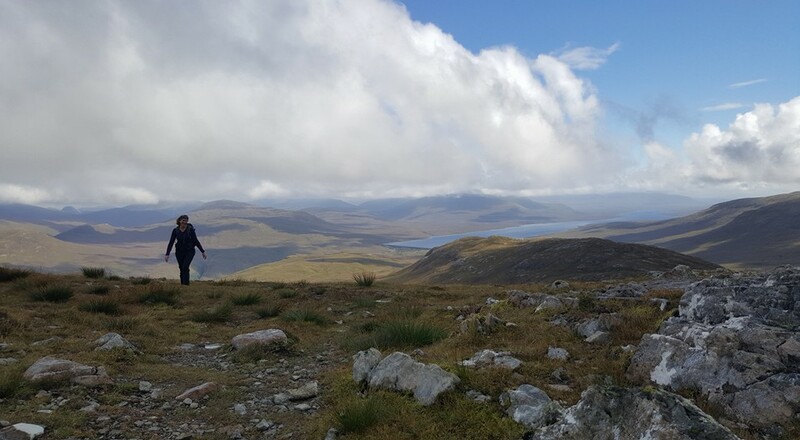 At 50 square miles, Rannoch Moor is the largest uninhabited wilderness in Britain. At one stage, with the exception of the odd tree, there is no shelter for 10 miles. The low cloud and fine rain added to the overall moody atmosphere of the moor. The waterproofs that had been holidaying in Tara’s rucksack finally had an outing on the moor as the rain came and went throughout the day. Tara tells us she really didn’t mind wearing them, as it made it worthwhile carrying them all week. Tara always sees the positive in things! 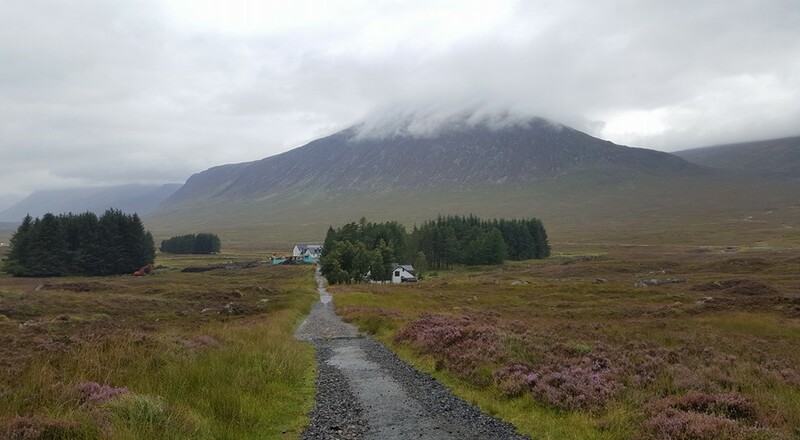 Having reached its highest point the track descends towards Glencoe and ahead sits the pyramid of Buachaille Etive More, the Great Herdsman of Etive, on this occasion, with it’s head in cloud. Also visible is the iconic Kings House Hotel, an 18th century Drover’s lodge, which would be Tara and Scott’s accommodation for the evening. However, before then, they headed for the ski centre for toasties while it rained before making the remainder of the descent, and arriving pretty dry! Here are a few pictures from day 5. Next up is over the Devil’s Staircase to Kinlochleven. Setting off for Kingshouse with Loch Tulla behind. A remote and moody looking Rannoch Moor. What’s more, the rain is on its way. Still on Rannoch Moor and finally the waterproofs come out the rucksack! Stopping at Glencoe Ski Centre for tea and toasties. 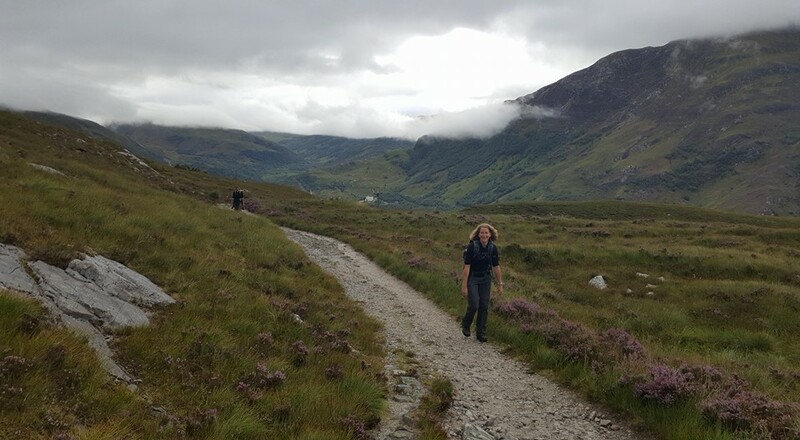 Kingshouse to Kinlochleven was the aim for Tara and Scott on day 6 of their West Highland Way walking holiday. The day began cloudy with the occasional spot of rain which never really materialised, so once again, Tara and Scott were lucky enough to leave their waterproofs in their rucksacks. 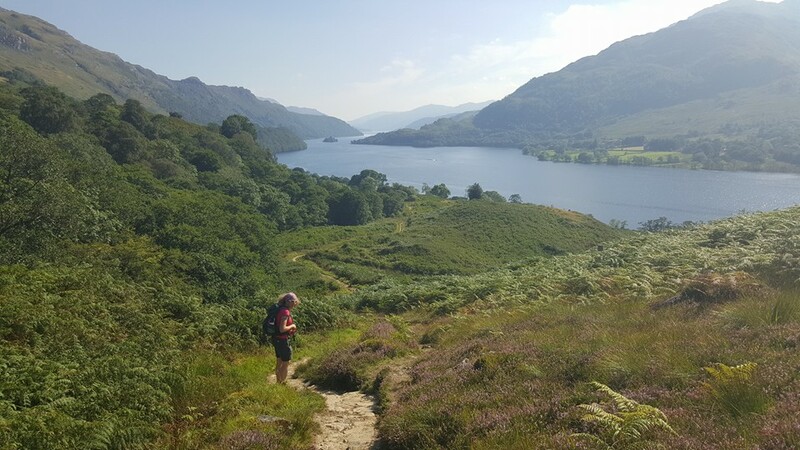 The walk started parallel to the road and in no time they reached the start of the climb to the highest point on the Way, up the intimidatingly named Devil’s Staircase. 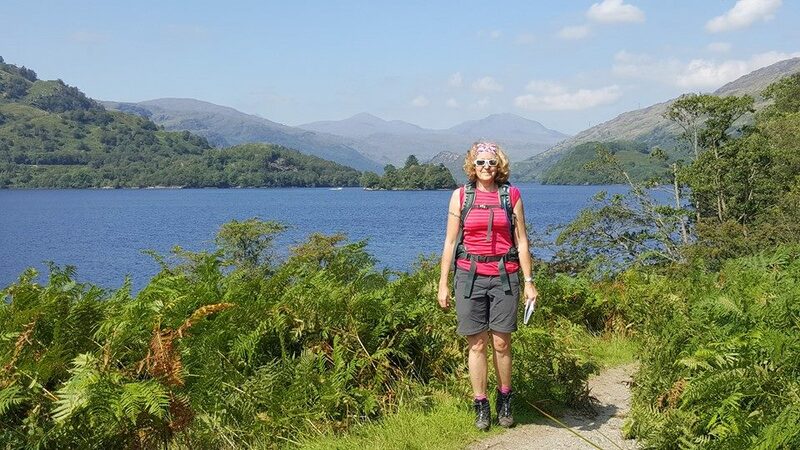 Despite its title, Tara tells us it turned out to be not nearly as difficult as the name suggests, perhaps her Lake District walking has prepared her well. 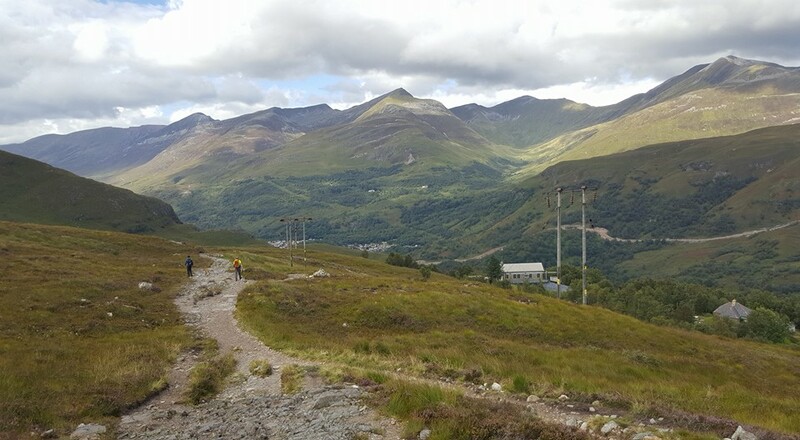 They reached the highest point quite quickly, and were rewarded with fabulous views north to the Mamores and Ben Nevis. 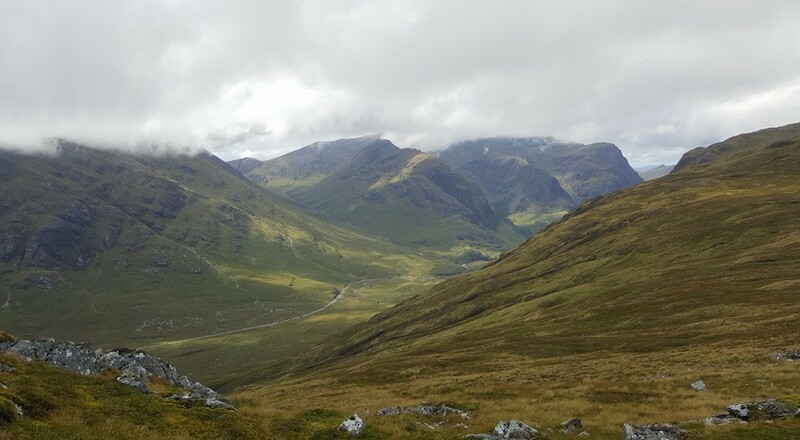 Having overtaken everyone else on the climb and realising they were likely to make it to Kinlochleven quite early, they would take a little side excursion to see the Three Sisters in the pass of Glencoe, from Stob Mhic Mhartuin, they therefore turned off and made the climb to take in the stunning views. 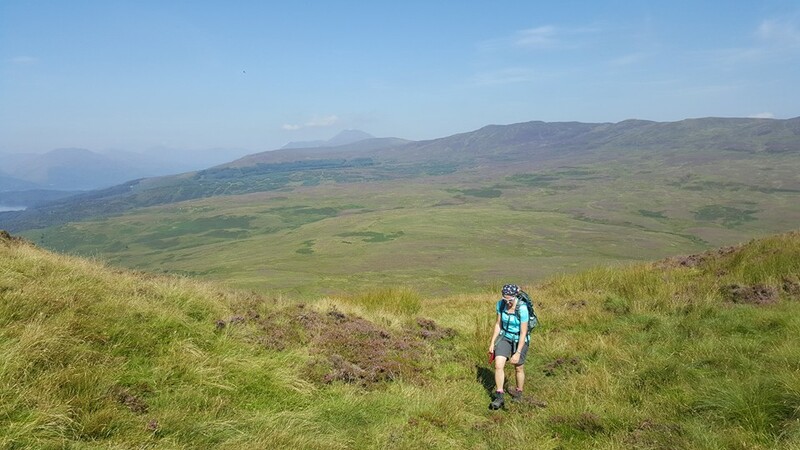 Tara and Scott rejoined the route, ate their massive Kings House packed lunches, and started the descent into Kinlochleven which is at sea level. 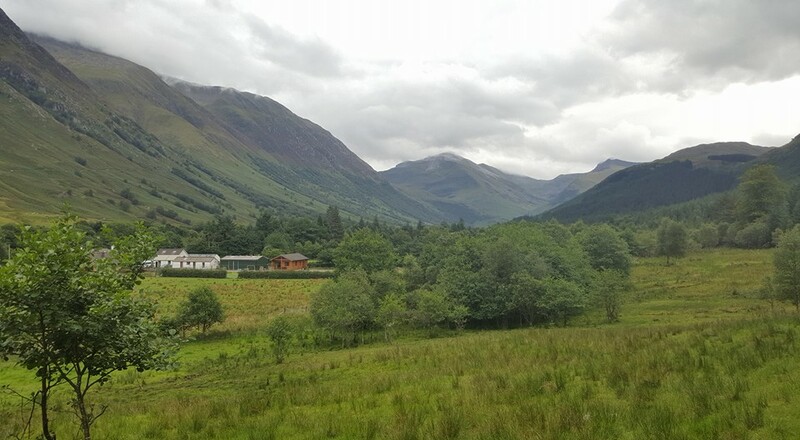 Kinlochleven is a modern village set in spectacular scenery. Their B&B was once the village store but now it’s a fabulous place to stay and we understand they sampled the fudge, chocolates and biscuits from their lovely host before heading out to one of the many places to eat there. I hope you enjoy today’s pictures and we’ll eagerly await our update again tomorrow. It’ll be Tara and Scott’s last day. 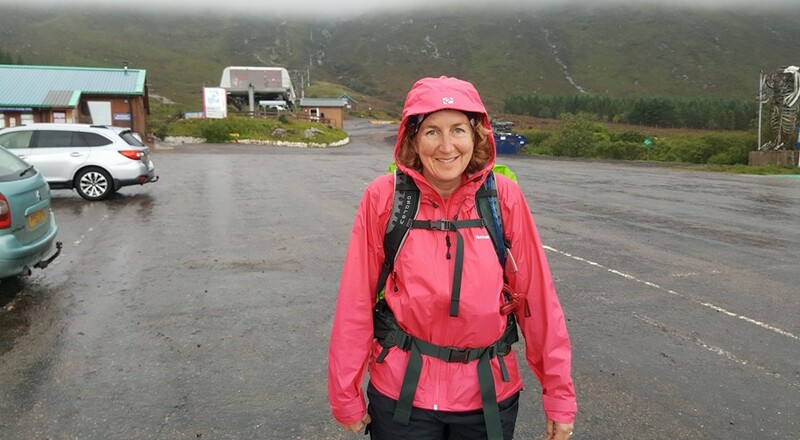 They’ll be walking to Fort William at the foot of Ben Nevis, Britain’s highest mountain. The roadside walk before turning off to climb the Devil’s Staircase. 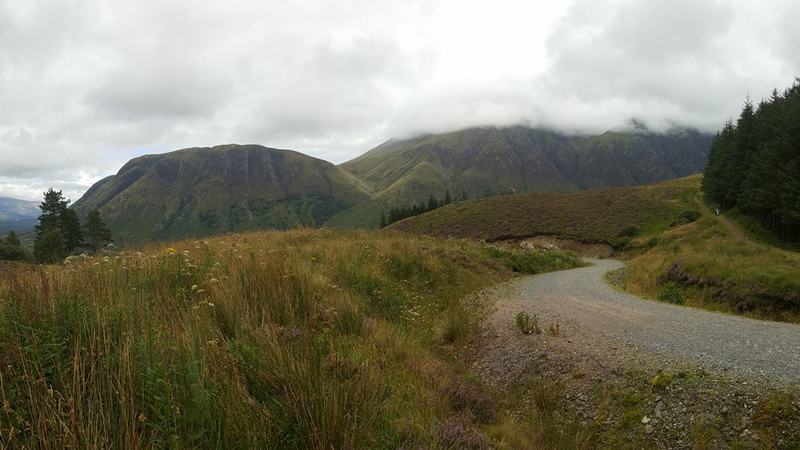 The route down into Kinlochleven. Today’s destination, Kinlochleven coming into view. 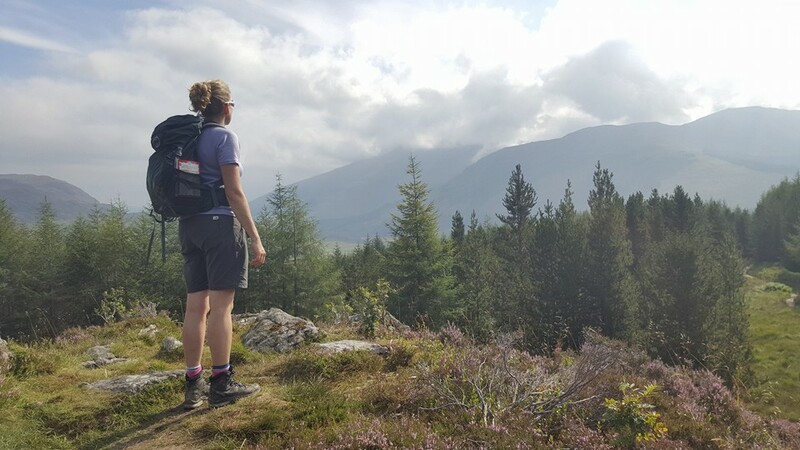 The final leg of Tara and Scott’s West Highland Way adventure was the 14 mile stretch from Kinlochleven to Fort William. 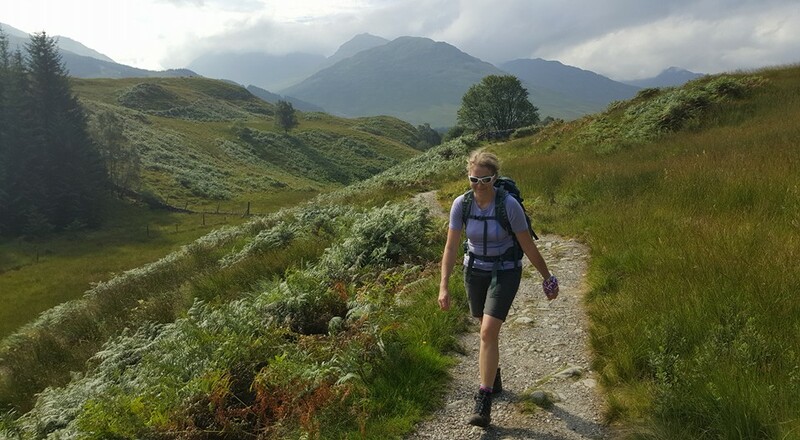 They set out on day 7 with a long, hot and humid climb out of Kinlochleven on a narrow winding trail through birch woods. At lower level the midges were out and Tara and Scott were glad to reach the top where the breeze kept them at bay. Incidentally, this was the first instance of the pair being bothered by midges at all during the holiday. At the top of the climb the path continues on the old military road which passes along the mountain side down the wide valley meeting a broad pass. At 330m it can be exposed in poor weather but on this occasion, warm with a breeze, it was great for walking. Tara tells us they passed lots of walkers on this path, many of them they had seen and spoken to daily and had become familiar faces. The path soon heads into forestry plantations, rising and falling along tracks, over bridges and passing Dun Deardail iron age fort which can be visited as a side excursion, it’s just 15 minutes up a track from the Way. After here the path becomes forestry road and the view of Ben Nevis from this point on is spectacular. The mountain has a fearsome reputation and with its head in the clouds, looked moody. Leaving the forest the path meets the roadside and a 30 minute walk along the road into Fort William follows. 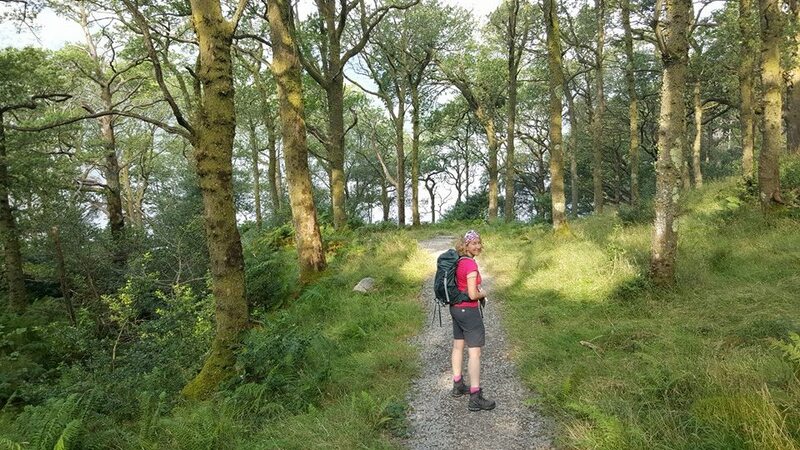 After 7 enjoyable but long days Tara found this section on hard flat path the most difficult of the day. It’s tough on tired feet. 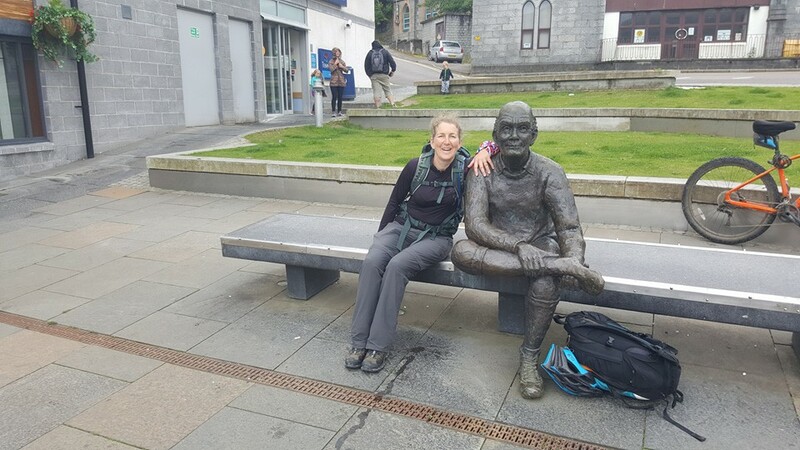 On reaching the original end, Tara and Scott then went in search of the official end point, a statue of a weary walker on a bench at the far end of the main shopping area. And there you have it, 95 glorious miles in 7 days. We hope you have enjoyed Tara and Scott’s journey as much as they did. We’ve certainly enjoyed sharing their progress with you. Here’s a selection of images from the final day. Should you wish to give it a try for yourself and you have any questions, just get in touch, Tara will be happy to help. With the climb out of Kinlochleven in the bag it’s now onward to Fort William. On the Old Military Road. 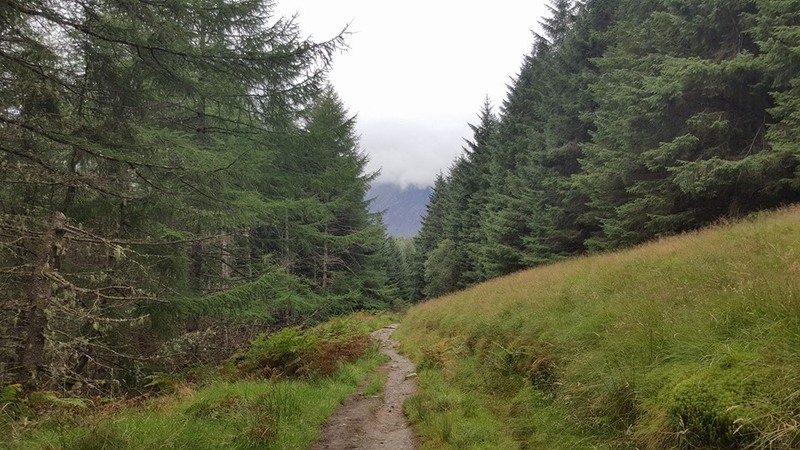 The first glimpse of the Ben from Nevis Forest. 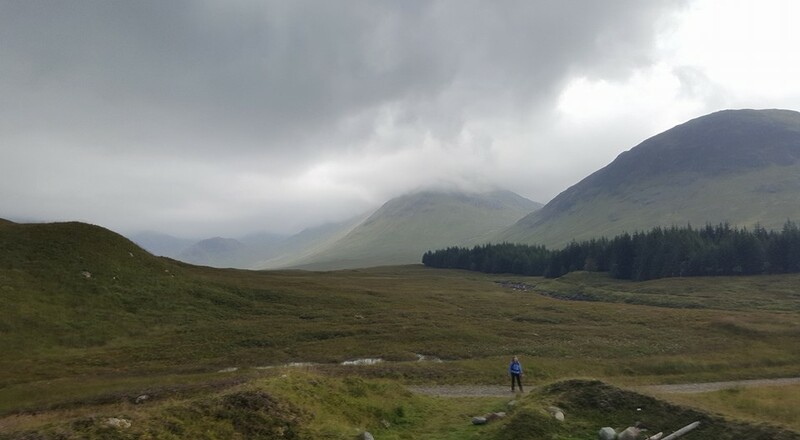 Ben Nevis in the cloud alongside Meall an t-Suidhe. 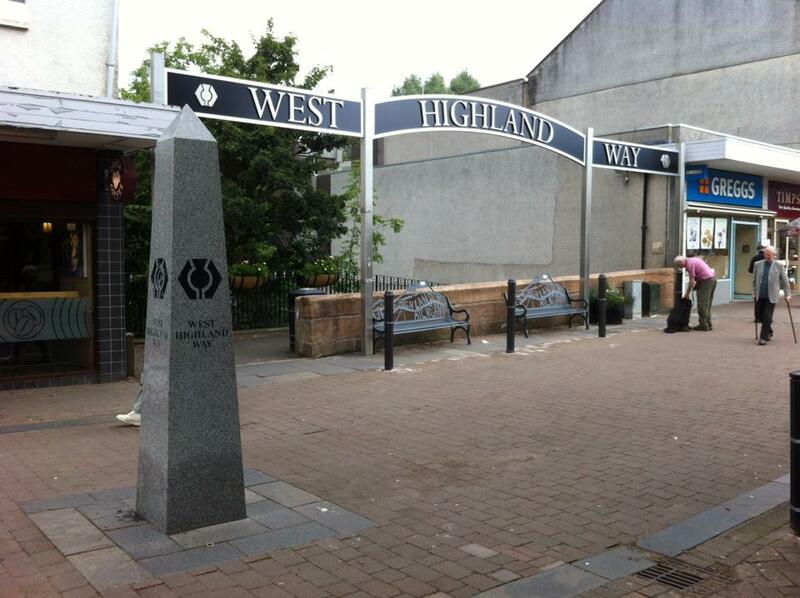 The original end of the West Highland Way. The official end. Honestly, Tara walked, the bike belongs to someone else!